Has your roof reached the end of it's life cycle? Then it's probably time for a roof replacement. Replacing your roof in Katy doesn't have to cost a fortune. LYF Construction has been in the roofing business since 2003 and has earned a reputation for superior roof replacement services in Katy Texas at an affordable price. The dependable crew at LYF Construction are certified in safe replacement of Katy's residential roofs. Our goal is to provide top quality roofing materials and the most professional service in town. We do this by never cutting corners and installing high quality products and hiring Katy's most talented roofers. Call LYF Construction today to discuss replacing your Katy roof and get the respect and diligence you deserve. If your roof is showing any of these signs, it's time to call the trusted roof replacement contractors in Katy for a free, written quote to replace your roof. The pros at LYF Construction take a look at your roof, show you available styles and options, and provide a fair price to replace your roof in Katy. Shop around. We believe we'll be your last stop! The professional Katy roofers at LYF Construction have more than 16 years of experience in replacing residential roofs. LYF Construction is TX licensed, bonded, and fully insured. Call (832) 304-6764 for a passionate roofing team that follows industry standards of best practices and takes pride in providing responsive, caring customer service. Call (832) 304-6764 when it's time to replace your roof - you'll be glad you did! From the moment LYF Construction's roof replacement crew arrives at your home to provide an evaluation and free estimate, you'll know you're in good hands. 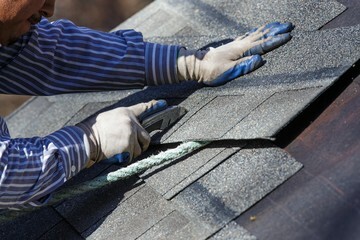 Our professional roofers are courteous and respectful of your belongings and your property. All necessary steps will be taken to protect your home's entrance, shrubs and landscape lighting fixtures. After your Katy roof replacement job is completed, our team will walk the premises and remove any debris or staples. All roofing work is completed in strict compliance with OSHA safety standards. Old roofing shingles, construction materials and any remaining debris will be removed from your property and properly discarded.